I just came back from watching 42 from the cinemas. Honestly, when asked to choose a movie, I opted for this one because Harrison Ford was in it. I was not entirely sure what it was going to be about, but I ended up crying through the whole movie because it was very touching and motivating. The man next to me gave me a high-fived for weeping through the whole thing. Props to him for putting up with my sniffling. 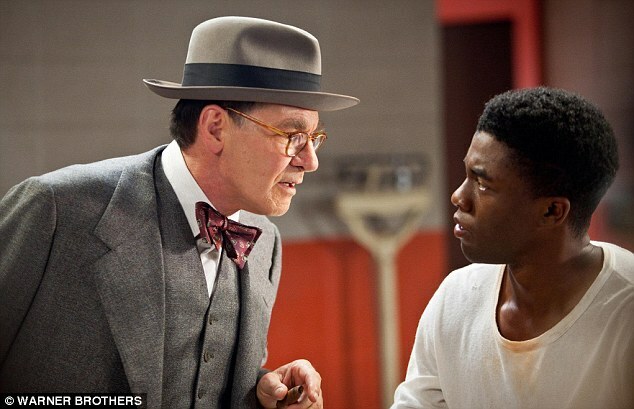 “42” is a movie about Jackie Robinson and how he joined the Brooklyn Dodgers despite being black. The story in itself is inspiring, but seeing those around Jackie willing to find acceptance and change was the most amazing part of the film. The end credits also explain how different members of the team went on to achieve great things. They also explained that the number 42– Jackie’s jersey number– was retired by the major baseball leagues to honour him. Like my friend said, it was a bit cheesy at times, but overall, I would defintely recommend this. Especially if you liked movies such as The Help. It really shows how far we have come in society. I do not want to spoil too much (though it may be a bit obvious how it will end), but I suggest that if you wanted something good to watch, especially at a time like this when the movies seem to be lacklustre (at least in my parts of town), go watch 42. Great review. At a point, it does feel like it might be appealing only to kids, but that’s just my personal gripe I have. Other than that; very good movie.